Falling is a possibility. The repair that you need to do may be easy, but safely getting up and down your roof, particularly if you don’t have a harness and other safety gear, is quite unlikely. This is especially difficult when the roof is still wet from the rain, so save yourself the trouble and just call on skilled and fully equipped roofers. Bigger Problems. If your DIY re-roofing project is done incorrectly, bigger problems such as toxic mold, and water damage could eventually happen, leading to bigger expenses in the future. You don’t have the training and experience that professionals do; it may seem easy when you watch those YouTube videos, but knowing what to do, and how to do it are two different things. Professionals are trained to detect any problems at first glance, and can tell how materials should be properly placed in order to ensure a sturdy and leak-free roof. Warranties. Most roofing systems and materials come with a warranty, but this can be voided if the manufacturer finds out that DIY work was done. A problem that arises from a botched DIY job will not be covered under warranty, so just leave the task to a professional roofing contractor in Menlo Park and nearby areas like Shelton Roof to avoid having your warranty voided. Materials. Searching for online advice isn’t exactly at par with a professional recommendation. Remember that roofing materials can vary in usefulness and availability depending on your area; what works for a Washington home, may not be the best option for the roof of a California property. Always listen to the advice of your local roofing contractor and save yourself the trouble of replacing your DIY work again in less than a year due to inconveniences and damages. Water Flow. Roofing isn’t your only problem, remember that you also need to take into consideration the condition and position of your gutters. If your new roof, doesn’t work well with your gutter system, then you’ll be facing a flooded basement during the rainy seasons. Homeowners should just start things right and leave it to professionals who are specially trained to deal with roofing problems of all kinds. 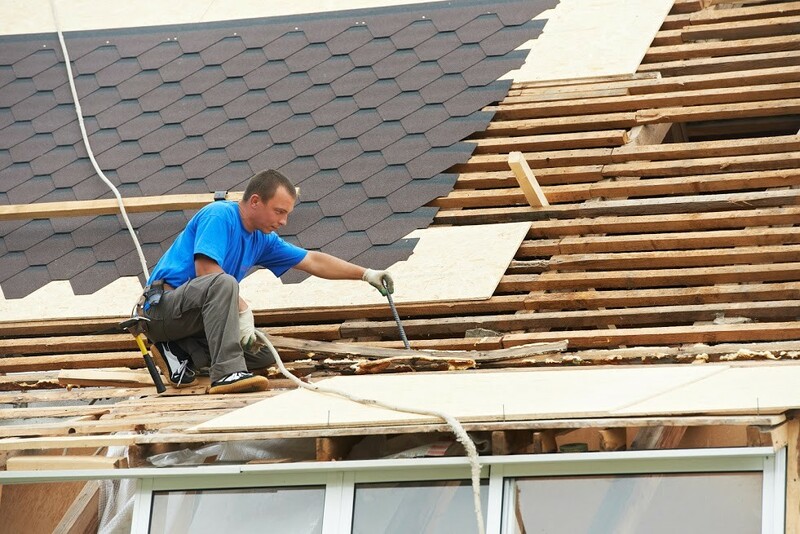 The roof isn’t a place that everyone should climb; accidents and injuries can be sustained from a DIY attempt gone wrong.